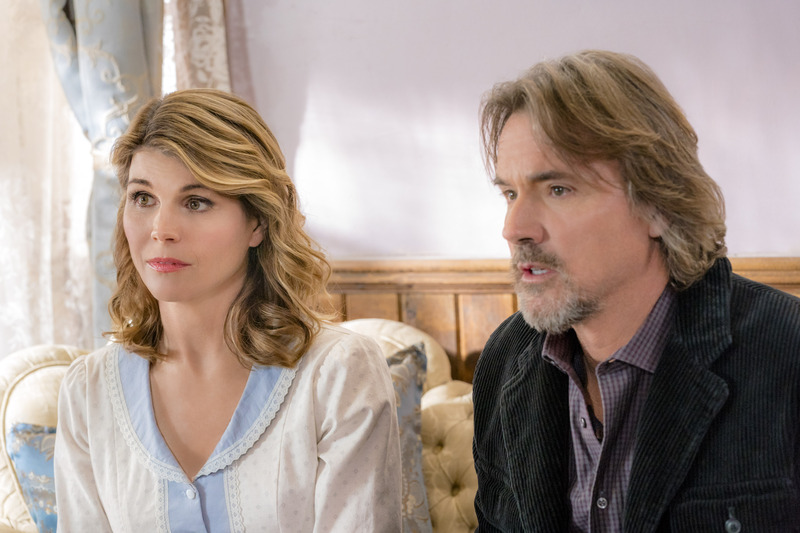 Abigail (Lori Loughlin) and Frank (Mark Humphreys) spend some much needed alone time fishing at the pond. Abigail gets Frank to tell her about his experience at Children’s Hospital. He speaks of his time ministering to a little boy that they feared would die from pneumonia. Luckily, the child made a miraculous full recovery and Frank was there to guide him in his faith and give him strength on the days he needed it the most. Abigail realizes that this is Frank’s calling and that he misses the work he did there. Lee and Rosemary enter the bustling saloon with their contributions to the town donation drive. Rosemary takes a moment to admire the turnout, and Lee gives her a quick kiss on the cheek and says he must leave for work. Rosemary is obviously disappointed with the less than a romantic display of affection. At that moment, she turns to the window and sees Jack and Elizabeth holding hands and sweetly kissing their way through town. This prompts her to run after Lee and offer to walk him to work. She awkwardly attempts to take his hand and Lee looks confused by the gesture which causes Rosemary to grimace. Outside the schoolhouse, the children play baseball. When Phillip (Liam Hughes) misses catching a fly ball, he claims that the sun got in his eyes. Robert (Jaiven Natt) points out that the sun is not out and all the children tease him for not catching it. When Mrs. Thornton rings the schoolhouse bell, she hears the children criticizing Phillip and tells them that “everyone misses the ball every now and again.” When Phillip expresses his dismay over making a mistake, Mrs. Thornton assures him that we all make mistakes and that he’ll catch the next fly ball. Rosemary surprises Lee with a hot lunch at work. Following Elizabeth’s lead, she writes him a sweet note that says, “Lee, you are the love of my life” and places it by his bowl of soup. As Lee sits down to enjoy his lunch, he bumps into his desk and spills the soup. To make matters worse, he unknowingly uses Rosemary’s note to clean up the mess. As Rosemary leaves the office disappointed that lunch wasn’t as romantic as she had planned, Lee realizes that the paper he had used to clean up the soup was actually a sweet letter from his wife. Laura (Genea Charpentier) goes to the jailhouse to ask Sherriff Avery (Jack Wagner) for help. She tells him that she’s found a letter in the pocket of her coat that she received from the donation drive. They can’t decipher the name on the letter, but they decide that it could be Lucy or Livy. The letter says, “Your constant laughter fills my heart. Never lose the joy you find in everything around you.” Bill tries to convince Laura that no one misses it and that it would be a pointless case to pursue, but she believes that it’s important that they return it to its rightful owner. He tells her that he has better things to do, to which she points out that he had his feet on the desk when she entered the jailhouse. Bill defends himself by saying, “Well, looks can be deceiving,” to which Laura cunningly replies, “Okay, it’s just I heard you used to be good at solving things.” Totally taking the bait, Bill exclaims, “USED TO? My title was chief forensic investigator.” Laura shrugs her shoulders and says, “Okay.” As she tries to take the letter back, Bill pulls it away from her and says, “Come back tomorrow and we’ll ask around.” Laura leaves with a smile on her face. Cody (Carter Ryan Evancic) escorts Jack, with his eyes closed, to the Café. Jack opens his eyes to see that Elizabeth has recreated their first date. She tells him that “[she] knew, even then, that [she] wanted to be [his] wife.” Jack attempts to respond, but is overwhelmed by his love for his wife and can only blurt out, “this is, you are, I mean uh,” to which Elizabeth saves him by saying, “I know.” They share a sweet kiss and Jack regains his ability to speak and he says, “everything is perfect.” Elizabeth invites him to eat, but Jack declares that he wants to dance with his wife before dinner this time. The children cue the music and the couple begins to dance. At that moment, Hickam (Ben Rosenbaum) interrupts to tell them that he saw the banker and some other men on Jack’s land. Jack and Elizabeth ride to their land to find Mr. Jenkins (Milo Shandel) inspecting their property. He informs them that the land was purchased with a demand loan and the bank will be exercising their right to take the land back. Jack argues that he’s paid every month without fail and Mr. Jenkins tells him that although they appreciate that, they still want the land back. Elizabeth realizes that the bank needs the immediate funds and that they must have found a cash buyer for the land. They threaten to fight the bank in court, to which Mr. Jenkins tells them that they can try, but that the law is on the bank’s side. He tells them that they can keep the land if they pay off their balance in the next seven days. When Jack says that they don’t have that kind of money, Mr. Jenkins suggests that they ask Elizabeth’s family for help. Jack declares there’s no way they’re taking money from Elizabeth’s family. The next morning at the row house, Jack and Elizabeth discuss the fact that they could lose their land. Jack says that he doesn’t know what to do, to which Elizabeth offers to contact her father. 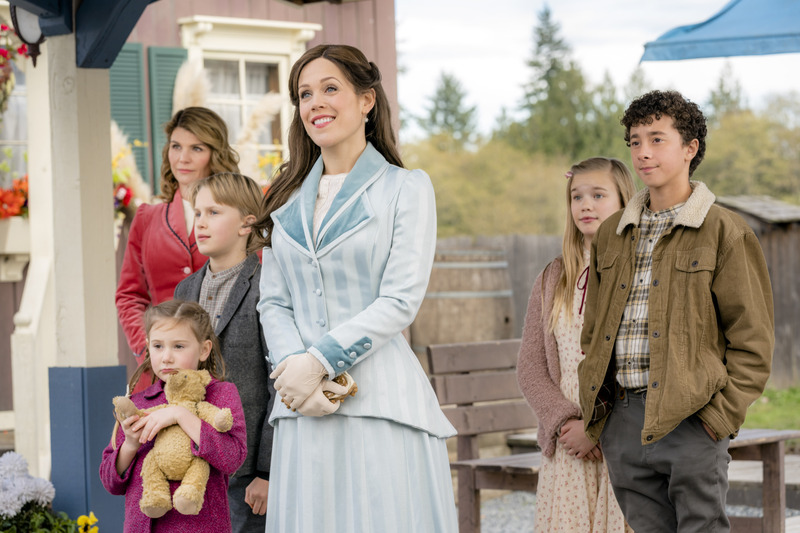 Jack says that he’d rather lose the land than to go to her father for help, because asking for help would only show Mr. Thatcher that he was right about Jack’s inability to take care of Elizabeth. Jack promises Elizabeth that he will build her a home and tells her that they’re a family and that they’ll see this through as one. At the schoolhouse, Elizabeth notices Phillip straining to see the words on the board during a vocabulary lesson. She asks him to move closer, but even after moving just a few feet away from the board, he says that the words are still blurry. Elizabeth asks him how long he’s struggled to see the board and he admits that he’s experienced trouble with his vision for a few days. Elizabeth tells him that since his father is out of town, she will take him to see the doctor after school to get his eyes checked. 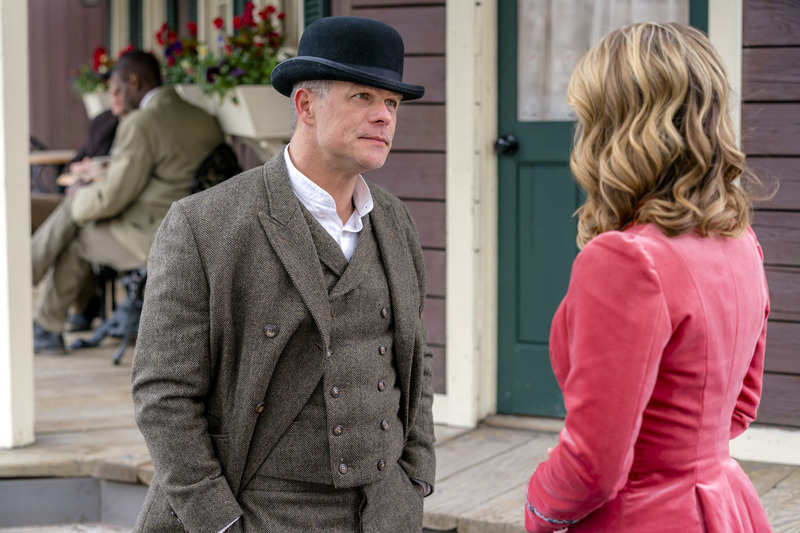 Henry (Martin Cummins) comes to the café to tell Abigail that he was unable to convince his connections in Union City and Silver Lakes to invest in the bank in Hope Valley. He says he has “another card up [his] sleeve” but that it’s a long shot, to which Abigail replies, “at this point [she’ll] take any shot.” As Henry leaves the café, Florence enters. She is very upset and makes a scene as she tells Abigail that she can’t understand how she could trust a convicted felon like Henry Gowan to help the town. Florence fears that perseverance isn’t enough and that the town is going to lose everything. Abigail reminds her that they’ve been through hard times before and assures her that sticking together is the only way for the community to survive these difficult times. Bill and Laura inquire around town about the letter. When they fail to find answers by asking around, they return to the jailhouse. Bill gives up on the case and says, “Sorry, I tried,” to which Laura challenges him by asking if that’s “all chief forensic investigators do, ask around?” He tells her that when it’s a serious crime, investigators will dig deep, but this is just a letter. Laura argues that it’s more than a “little note” and that it must be important to someone. She sighs and begins to leave. Feeling guilty, Bill stops her and asks her to come back and give him the coat. He examines it with a magnifying glass and finds a lead, a strand of red hair. Laura tells him that he looks like Sherlock Holmes and he assures her that unlike Sherlock, he’s the real deal. At the infirmary, Dr. Carson (Paul Greene) has Phillip read from a vision chart. He concludes that Phillip needs glasses to see things that are far away. When Phillip declares that he doesn’t want to wear glasses, Elizabeth assures him it will help him see the board and catch fly balls. At the mercantile, Laura and Bill ask Molly (Johanna Newmarch) if the coat and letter are hers because of her red hair. She says that unfortunately it isn’t and so their investigation continues. Elizabeth dismisses the children to recess and Phillip chooses to stay in because he doesn’t feel well. Elizabeth asks him if he’s been crying and he says no, but that his eyes and head hurt. She tells that him his lenses may be too strong and that she’s going to take him to see Doctor Carson after school. Abigail confronts Mr. Jenkins about recalling Jack’s loan. Mr. Jenkins assures her that it’s all legal, to which she replies, “there’s what’s legal, and what’s right and that’s not right.” He says that the bank needs cash, to which she argues that the bank needs her. She informs him about her endeavor to find investors for the bank but tells him that in the meantime, they must remain honorable and not underhanded. He makes no promises but agrees to take her plea under consideration, to which Abigail firmly tells him to make the situation with Jack go away. At the infirmary, Phillip admits to Dr. Carson that he has been having a lot of headaches, with and without his glasses and that his vision is still a little blurry. Dr. Carson checks Phillip’s peripheral vision and notes that he can’t see anything to his right and left. Carson pulls Elizabeth aside and tells her that he fears that Phillip has glaucoma, and that without the proper treatment he could lose his eyesight. Dr. Carson concludes that Phillip needs to see a specialist at Children’s Hospital right away. At Abigail’s house, Carson and Elizabeth meet with Frank and Abigail to reach out to Frank for help with finding a specialist for Phillip. Frank says that he knows the administrators at the hospital and offers to send a telegram to his contact to see if they can get Phillip a bed. 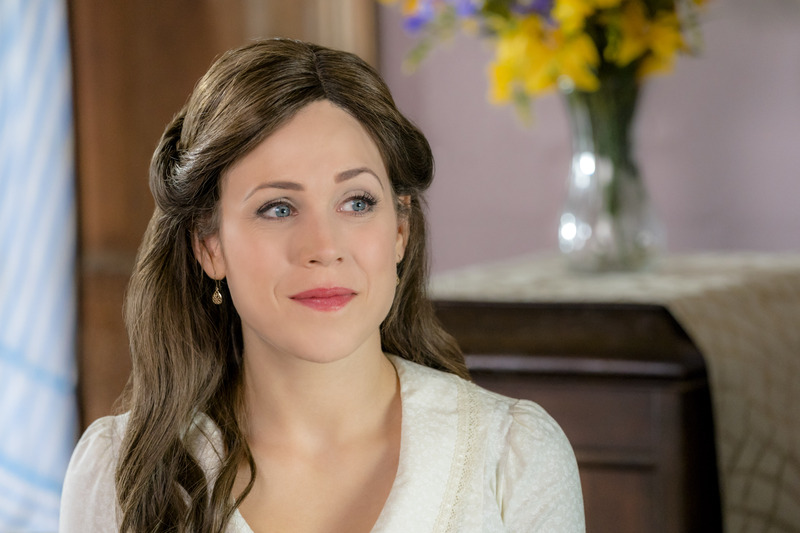 Elizabeth worries that Phillip will go blind, and Abigail tells her to trust that “Frank will move Heaven and Earth” to make sure that Phillip gets the help that he needs. Rosemary arrives home feeling deflated. As she walks towards the house she sees Lee waiting for her at the door. He tells her that he knows that she’s been feeling blue and that he has a surprise for her. He opens the door to reveal that he has decorated the room with rose petals and has prepared a romantic dinner for two. He gives her the letter she gave him the day that she brought him lunch, and in it he has placed tickets to see The Pirates of Penzance. He tells her that she is the love of his life, and they share a kiss and toast to married life. Laura and Bill bring the letter to Abigail to see if she has any idea about who it may belong to. She says that she doesn’t recognize the coat or the letter, and they ask her if she recognizes the name Lucy or Livy. She says, no, but then realizes that she knows someone by the nickname LOVEY, who had a husband with red hair. She sends them to see Florence Blakely. When they return the letter, Florence (Loretta Walsh) cries and is overcome with happiness. She had forgotten what qualities her husband had cherished in her and how she used to be before grief and worry had taken their toll. She tells Laura that having the letter means the world to her and she promises to treasure it. At the stage station, Dr. Carson, Abigail and Elizabeth say goodbye to Frank and Phillip before they journey to Children’s Hospital. Just before Phillip loads on the stagecoach, Opal, Ruby, Cody and Robert arrive to apologize for teasing him. The bring him a get-well card from the class and they tell him that they will all miss him. Frank sadly says goodbye to Abigail. She tells him that she understands that caring for the children at the hospital is his calling and that she knows that he must stay there. Abigail tells him that he is a good man, to which he says that he wishes he could ask her to come with him, and she admits that she wishes she could ask him to stay. 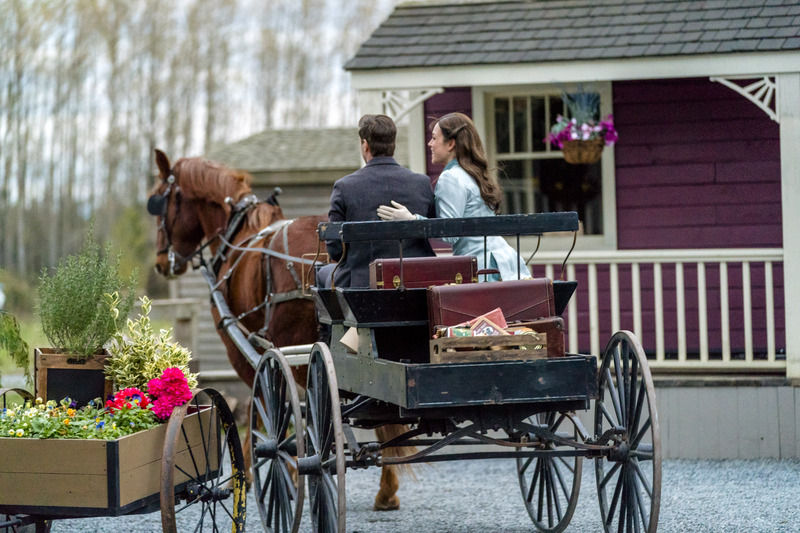 They share a sweet kiss, and then Frank says a heartfelt goodbye to Cody before boarding the stagecoach. 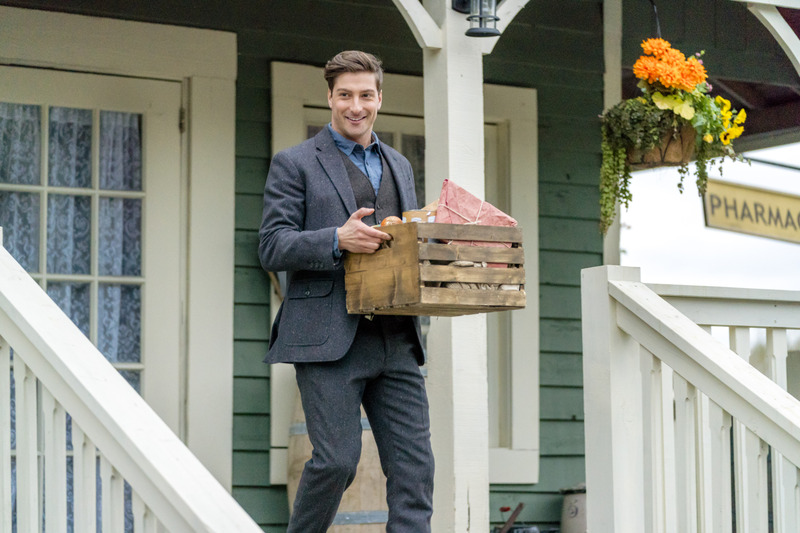 As Jack loads the wagon, Mr. Jenkins approaches and tells him and Elizabeth that the bank has reconsidered and will not be taking over their property. Grateful, but confused at this development, Jack asks Elizabeth if she has any idea how this is possible. Elizabeth realizes that it must have been Abigail who spoke to Mr. Jenkins on their behalf. When they spot Abigail across the street, they walk over and ask her if she spoke to Mr. Jenkins. She says that she reminded him how they treat people in Hope Valley. They hug her and thank her for help. She wishes them well and sends them off on their honeymoon. As the newlyweds leave, Henry approaches Abigail to tell her that he’s found a potential investor for the town and that she’ll be coming to Hope Valley next week. He warns her that although he could convince her to come to town, it will be up to Abigail to convince her to invest. When Calls the Heart: Love and Marriage excellently represents every stage of love, dating, and marriage in a very relatable way. Pascale Hutton and Kavan Smith shine this week with their portrayals of Lee and Rosemary. Hutton does an incredible job peeling back the layers of a character that is generally so upbeat and over-the-top positive, allowing the viewer to see a much deeper side to her character. Hutton and Smith have impeccable timing and chemistry on screen, and that stands out in every scene they are in this week. Genea Charpentier and Jack Wagner are amazing scene partners as Laura and Bill. Charpentier’s delivery of the subtle digs toward Bill during their investigation are hilarious and perfectly performed by both actors. The lost letter element of this week’s episode is very entertaining and pleasantly reminiscent of Hallmark’s other marvelous show Signed, Sealed, Delivered. Jack and Elizabeth are the perfect newlyweds. Lissing and Krakow complement each other flawlessly in every scene. I hope that Jack’s exit doesn’t keep Lissing away from Hope Valley for too long. Tune in toall-newllmark Channel next Sunday, April 1st for an all new When Calls the Heart!